If 75% of health seekers are saying that they would take part in a clinical trial, yet at the same time, 75% of clinical trials are failing to enrol enough participants, what is causing this gap in action? And what can be done to close the gap? So lets look at the role branding and advertising for clinical trial recruitment and retention can play. At COUCH, we look to human insights to answer these questions, and use what we uncover to develop creative solutions. 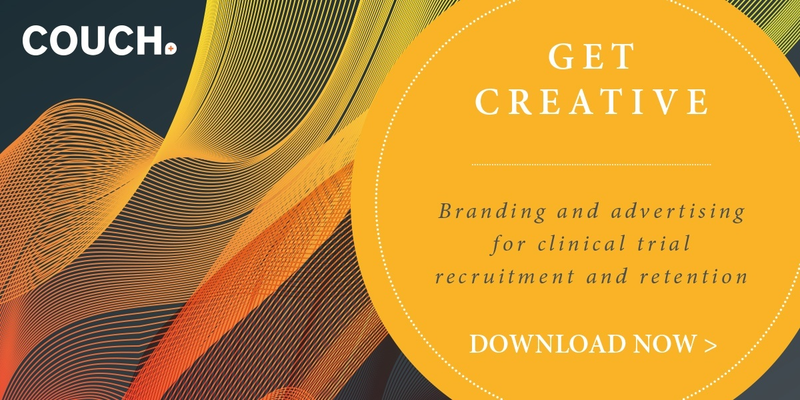 So, with our latest white paper, Branding and advertising for clinical trial recruitment and retention, we’re bringing those insights to you, and discussing potential solutions to your current challenges. We want to help make your clinical trials a success for your organisation, and also for the health seekers whose lives could improve with your research. If this sounds like something you’d like to explore, why not start by downloading this white paper for a little inspiration? As a failed neuroscientist, Ash has sought to bring meaningful change to the healthcare industry ever since by working at some of the biggest agencies in the world, his career spans more than 10 years. His expertise lies in creative communications, patient engagement and recruitment strategies for clinical trials – seeking to make healthcare people-focused and purpose-driven. When he isn’t doing all that, he’s anticipating the latest movie, expanding that love to screen writing or on a spur of the moment city break. If he had to decide the thing he loves most in the world, it would probably be Toby Carvery.